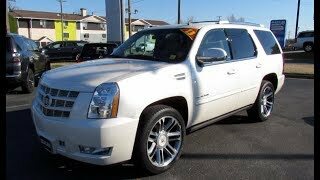 The Cadillac Escalade is has been well known as the most luxurious SUV and with the newer 2013 model things will continue on the same road. 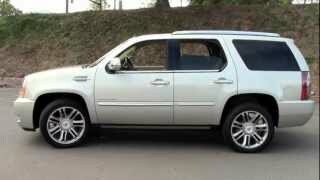 The Cadillac Escalade Premium 2013 offers an even higher degree of comfort and luxury, bundled in one of the three body styles and the Platinum models that aim to deliver the pinnacle of luxurious SUVs. The three body styles offered with the 2013 model includes your regular Escalade, the longer Escalade ESV as well as the Escalade EXT. Whichever you choose the SUV will be motivated by ta 6.2 liters V8 power plant featuring Active Fuel Management system continuously variable valve timing. The unit develops 403 horsepower and 417 lb-ft of torque and will be mated with a Hydra-Matic 6L80 6-speed automatic gearbox designed for fuel saving. The base model alongside the ESV will be available with rear-wheel-drive as standard and all-wheel-drive as an option, whereas the Escalade EXT will come with full-time all-wheel-drive as a standard. The Escalade Platinum trim level is available on the Escalade and the ESV, and as mentioned before it delivers the higher degree of comfort and luxury. Platinum includes all of the standard features as the other models but comes with a wide range of extras as well such as the unique 22-inch multi-spoke wheels, Magnetic Ride Control and LED headlamps. "Platinum" exterior badges are also included, in order to help the top-of-the-range differentiate itself from its siblings. Inside, the luxurious trim level offers leather on the center storage console, the instrument panel and the door trims. The leather perfectly matches wood the Walnut Burl and Olive Ash wood elements. The first and second row of seats will be wrapped in full TEHAMAaniline leather whereas the third row of seats will be covered in Nuance leather. 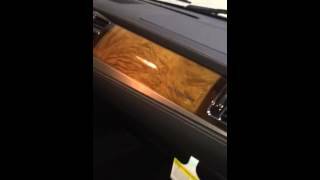 Safety features in the 2013 Escalade include the StabilitiTrac electronic stability system featuring traction control as well as rollover mitigation. Dual front airbags are included as well, alongside side and curtain airbags for all three rows of seats. Other safety features include ultrasonic rear parking assist, rearview camera, LATCH child seat attachment system, tire pressure monitoring system, remote keyless entry, side blind zone alert and four-wheel-disc brake system with ABS just to name a few. 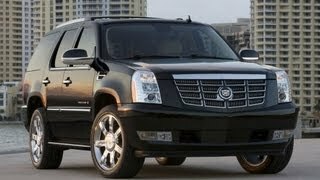 In case the Cadillac Escalade Premium 2013 is the SUV that you have been looking for then you should consider its price. The luxurious SUV has a MSRP of $63,170, which might be a bit steep considering the fact that the Mercedes GL-Class 2013 will set you back $62,570 and the Audi Q7 2013 is roughly $17,000 less expensive.